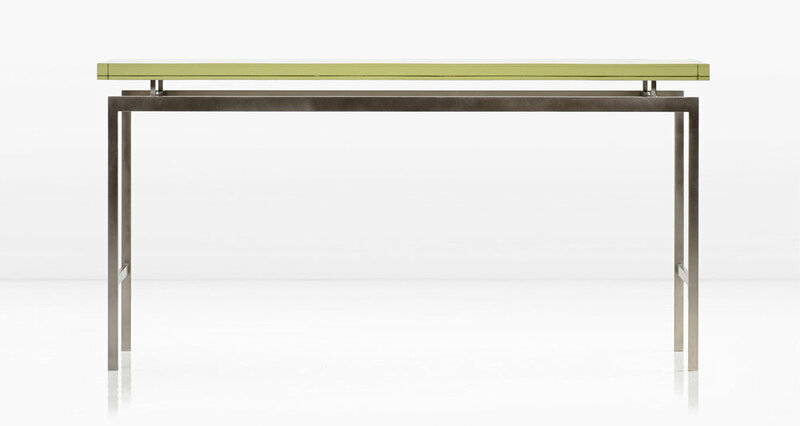 The 1 3/8" thick Borosilicate glass of the Duran Console top has an inherently organic quality not found in any other glass anywhere. The Duran creates a powerful statement for an entry or paired with a sofa. Shown with Nickel base and silvered top (last 2 images shown with Silicon Bronze base). Top can also be clear.